So as some of you may already know we have been at our first festival of the season this weekend (review to come soon) and in preparation I was asked by New Look to put together a little festival outfit that I would actually wear (and have now worn) to a festival. 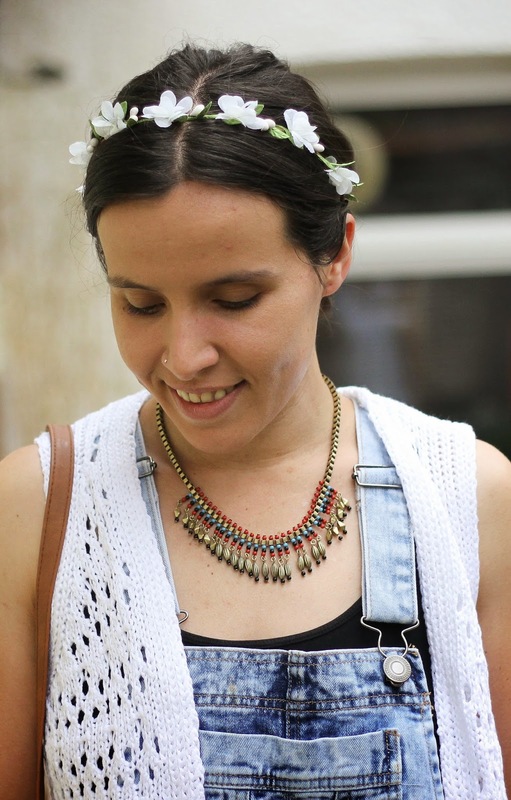 I am a real fan of the dungarees this season as they are stylish and practical as well as the tasselled knitted vests, plus festivals and summer is all about accessories from necklaces to flower headbands and bracelets. The great thing is I managed to get this whole outfit from top to toe (excluding the sandals) for under £60, which is perfect when I am sure most of it will be muddy by the end of the weekend and I am really impressed with the quality and comfort of the denim as well as the beautiful necklace. I am joining up with the lovely Natalie over at Style Me Sunday for the weekly Street Style Sunday linky so why not join in, you can link up with any style or fashion related post or outfit of you, your partner/husband/boyfriend or kids. Love this look laura, you look fab. I don't think Dungarees suit me really, but I might try them again now I've seen this post. 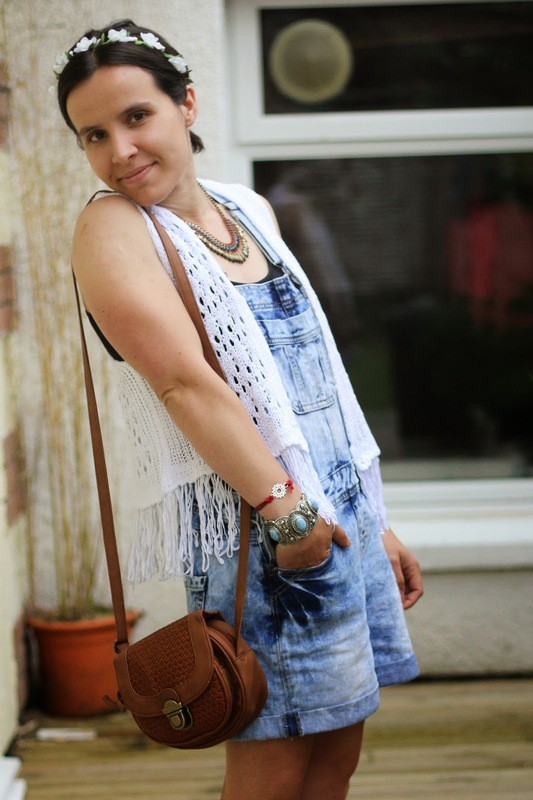 you look fab - I'm not a dungaree fan but they look fab on you!